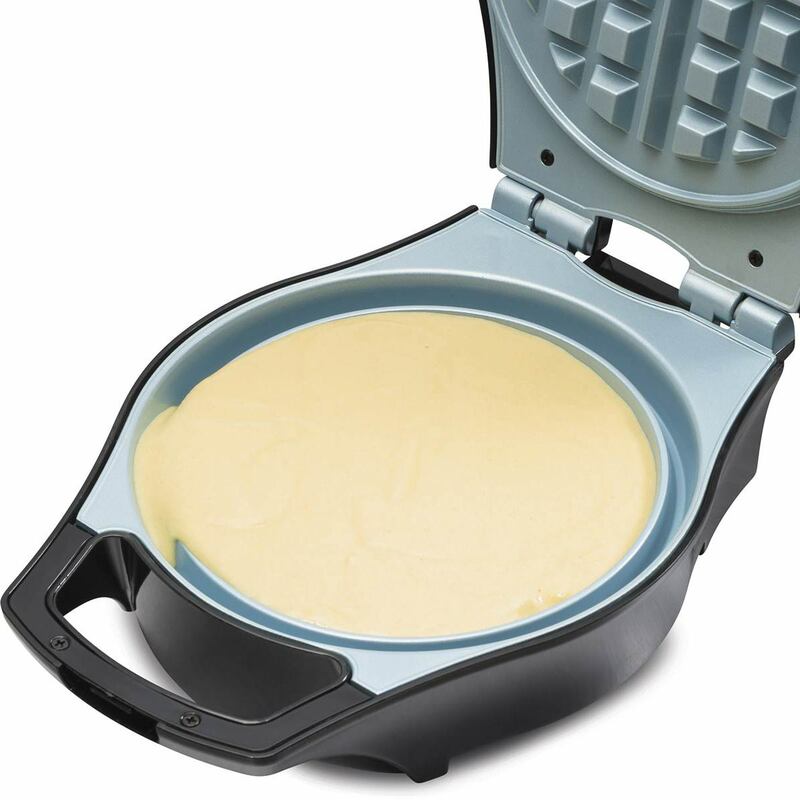 Enjoy fluffy, homemade Belgian waffles at home with the Hamilton Beach® Mess-Free Belgian Style Waffle Maker. 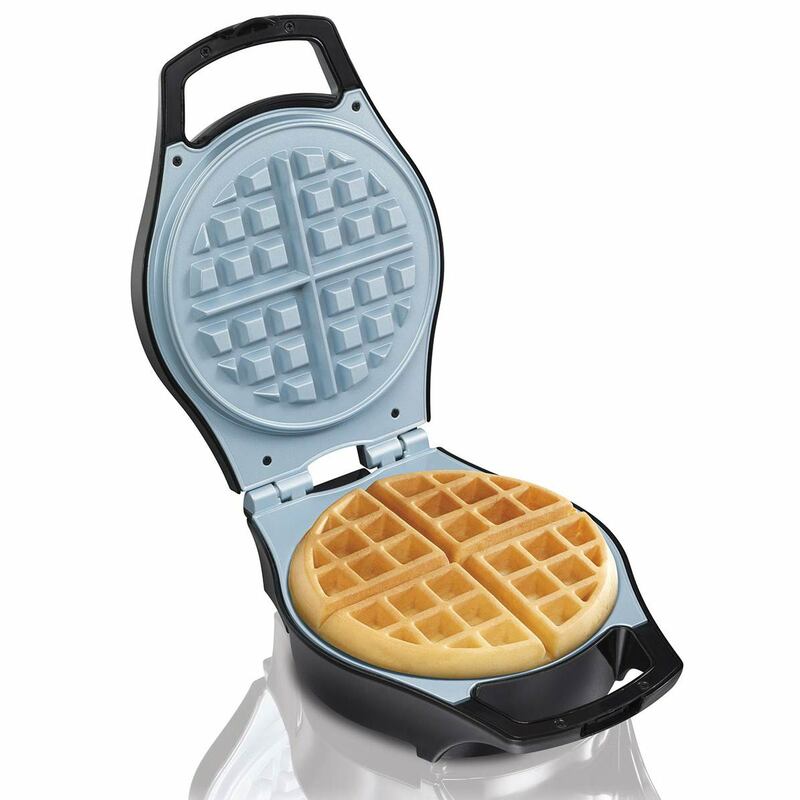 The Durathon® ceramic nonstick coating makes it easy to lift waffles off the iron and onto your plate. Top with fresh fruit and maple syrup and you have a delicious breakfast the whole family will enjoy. If you like your waffles dark and crisp, but your children like them soft, it’s not a problem. The adjustable temperature dial allows you to control the browning so the waffle cooks exactly the way you want it. 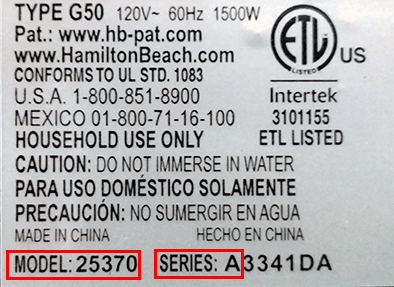 A ready light will let you know when it is done. 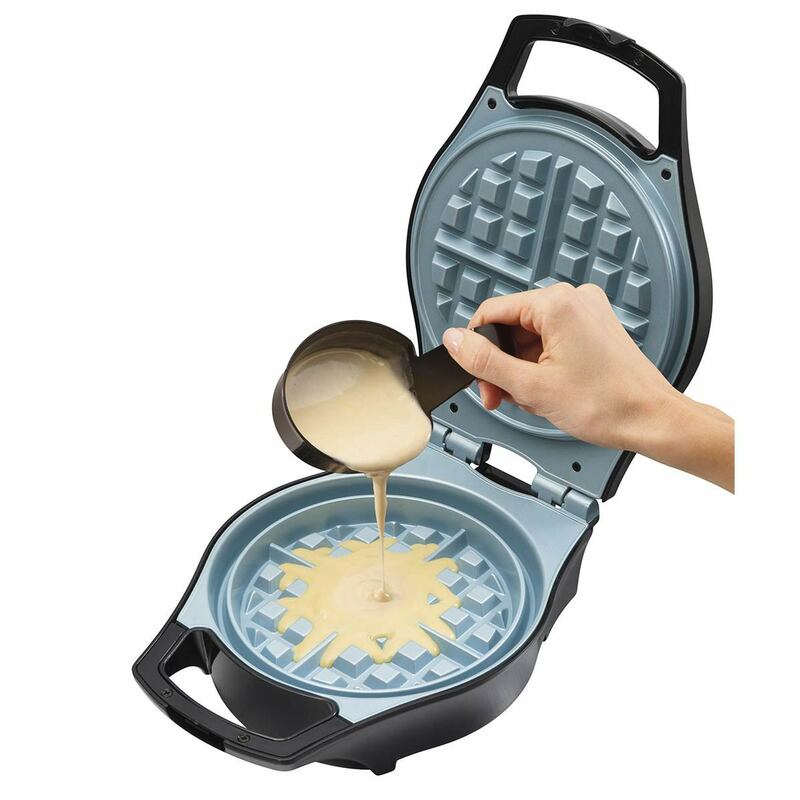 Making waffles can be a messy endeavor, but not with the Hamilton Beach® Mess-Free Belgian Style Waffle Maker. We’ve created mess free features to help keep the batter in the machine and off the counter. 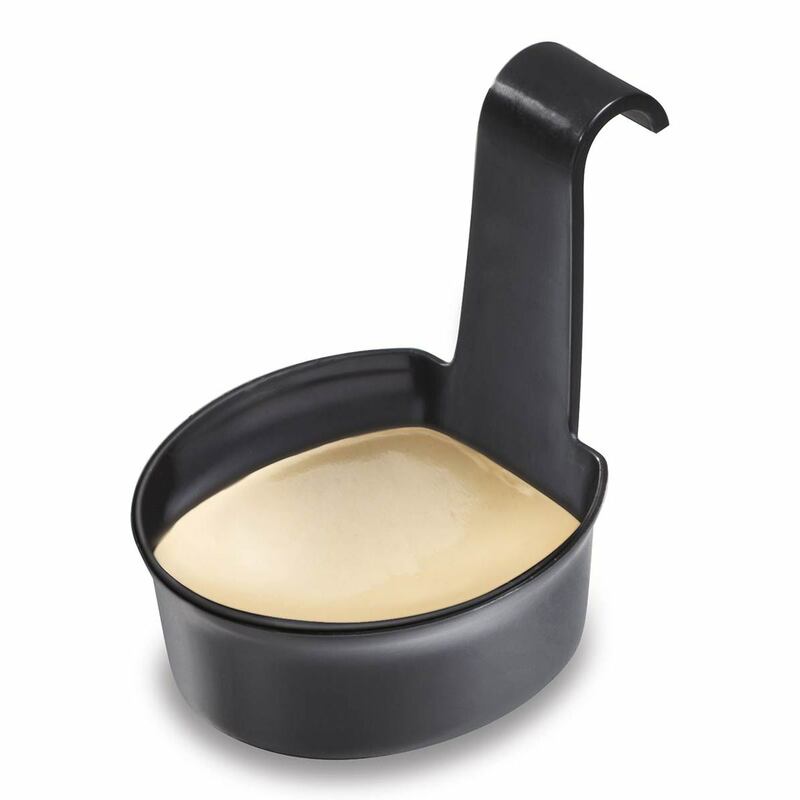 These features include a premeasured batter cup just the right size for one waffle, deep grids to keep the batter inside, and an overflow channel to keep any excess batter from leaking onto the counter. Enjoy waffles on the weekend, or any day of the week, with the Hamilton Beach® Mess-Free Belgian Style Waffle Maker …now that’s Good Thinking®. 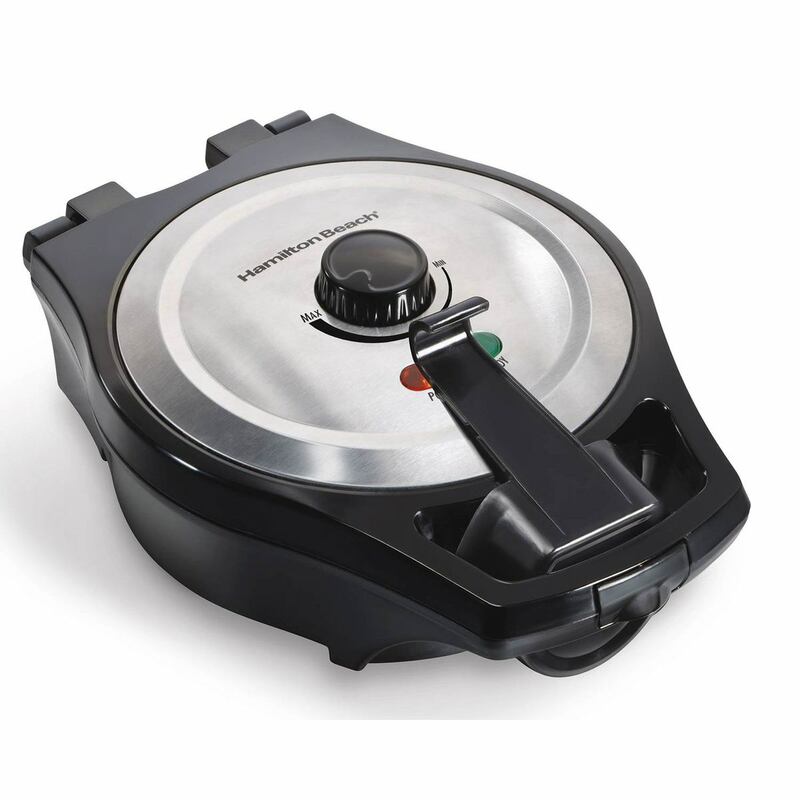 The Hamilton Beach® Mess-Free Belgian Style Waffle Maker is made with Durathon® ceramic nonstick coating. This coating is four times more durable than traditional nonstick so, it won’t crack or peel. The cooking surface is ideal for making waffles and removing them with ease. Clean up is simple too. A basic Belgian waffle, smothered in butter and syrup, is a delight, but add a little creativity and you can have culinary bliss. Fruit is a nice addition, either mixed into the waffle or spread on top. Or you can add cocoa and vanilla for a chocolaty dessert waffle. If you’re a cinnamon fan how about adding a little cinnamon and raisin to the mix? These ideas, and more, are suggestions from the experts in our test kitchen. Additional recipes can be found in the included Use and Care Guide. Go beyond the basics and try something new. Not every morning is laid back and carefree. Most are rushed and often hectic. Make it a little easier by making a large batch of waffles on the weekend and freezing them for later. Waffles freeze easily in airtight storage bags and can be reheated in an oven, microwave, toaster or toaster oven.